At Winmate, our quality management system is based on a process management approach, which allows us to maintain consistency in product service and support. It also enables us to meet all applicable regulatory requirements, while remaining nimble and flexible enough to evolve with technology and industry need. Recently, Winmate achieved ISO 13485:2003 and EN ISO 13485:2012 certification for its design, development, production, installation, and servicing of medical devices. What does this mean for you? Winmate's certification confirms any portable panel PCs and mobile tablets we develop for use in the medical industry are safe and meet all regulatory design requirements. 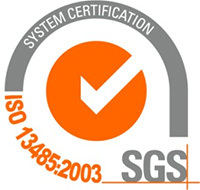 By way of background, ISO 13485 is a quality management system standard specifically for the medical devices industry. It was written to support medical device manufacturers in designing quality management system that establish and maintain the effectiveness of their processes. It ensures consistency from design to delivery of medical devices, and confirms they are safe for use in the intended purpose.